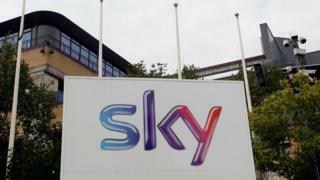 Broadcaster Sky and 21st Century Fox have reached agreement on the terms of a takeover deal. Rupert Murdoch's 21st Century Fox will pay £11.7bn for the 61% stake it does not already own. Tom Watson, shadow culture secretary, urged Ms Bradley to refer the deal to Ofcom: "When she stood on the steps of Downing Street this summer, the prime minister said to the people of this country that 'when we take the big calls, we'll think not of the powerful, but you'. "This is a big call. The government needs to decide whose side it's on." Richard Marwood, senior fund manager at Royal London Asset Management, owner of a 0.36% stake in Sky, urged Sky's board to share more information on the independent financial advice that they based their agreement with Fox on. "Such disclosure would help shareholders assess the fairness of the offer and give greater confidence in the independence of the committee in the bid process," he said. James Murdoch, Rupert Murdoch's son, is both chairman of Sky and chief executive of Fox. Shares in Sky closed 2.1p lower at 981.4p. Sky deputy chairman Martin Gilbert, who is also chief executive of Aberdeen Asset Management, which owns a 0.39% stake in the broadcaster, said: "[We] believe 21st Century Fox's offer at a 40 per cent premium to the undisturbed share price will accelerate and de-risk the delivery of future value for all Sky shareholders. As a result, the independent committee unanimously agreed that we have a proposal that we can put to Sky shareholders and recommend." Not all Sky shareholders agree with Martin Gilbert. One told the BBC: "This is a patsy deal. Many of the directors are not really independent and as a group they should be ashamed of themselves." The BBC understands that James Murdoch, Rupert Murdoch's son who is both Sky chairman and chief executive of 21st Century Fox, met with Sky directors earlier this month. He told them: "We are either a buyer or seller of our stake. The status quo is not an option." James Murdoch offered a 30% premium to the existing share price on the condition the directors recommended it. After further meetings, that premium was raised to 40%. But even with that premium, the sale price is roughly what Sky was worth six months ago and many shareholders will feel short-changed. Chase Carey, the former chief executive of Fox Television and the current co-chief operating officer of 21st Century Fox, is a non-executive director at Sky. While John Nallen, the chief financial officer of 21st Century Fox, is also a non-executive director at Sky.